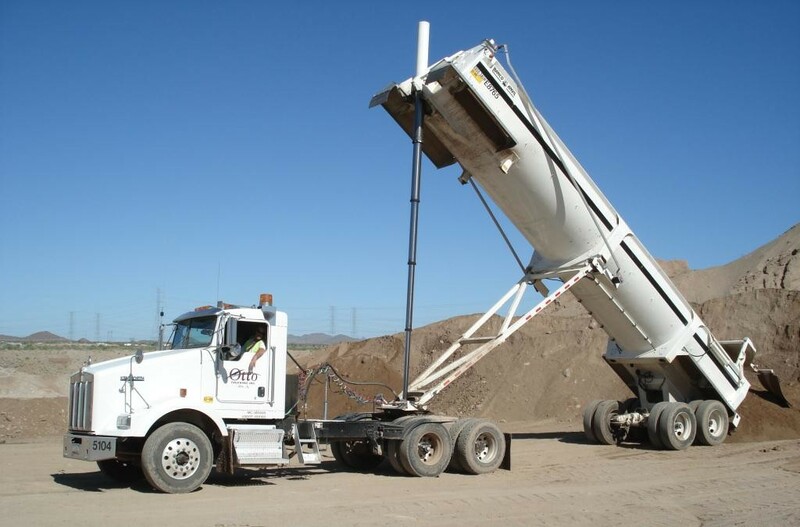 Our efficient trucking equipment and supplier network affords us the opportunity to be very competitive with supplied and delivered aggregate pricing. We also maintain a schedule of clients that need fill dirt or require its removal. We can provide an assessment of your options that often include material other operations are unaware of. 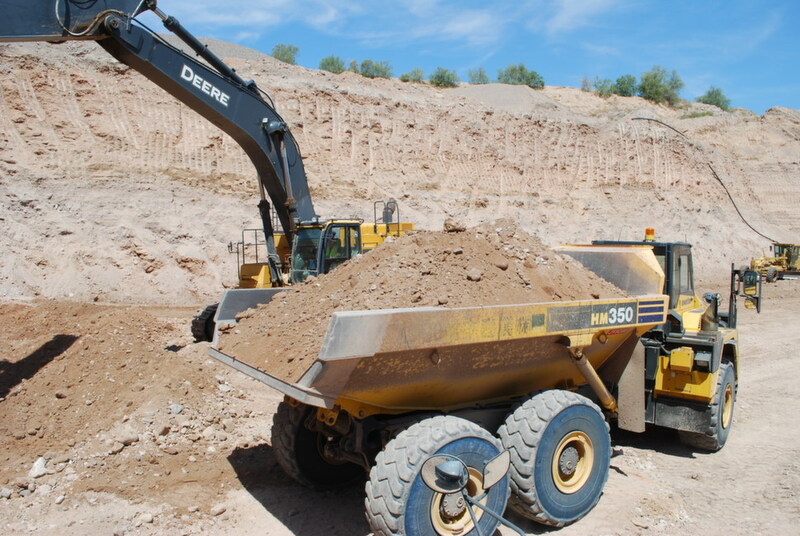 We encourage our customers to utilize our resources and experience when locating the best material for each project and application. 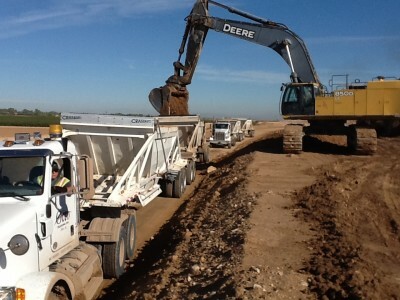 Minutes count when a hot plant is operating and a paving crew is in place. We assign an on-site supervisor to each asphalt job to streamline coordination and ensure each job has the trucks it needs. 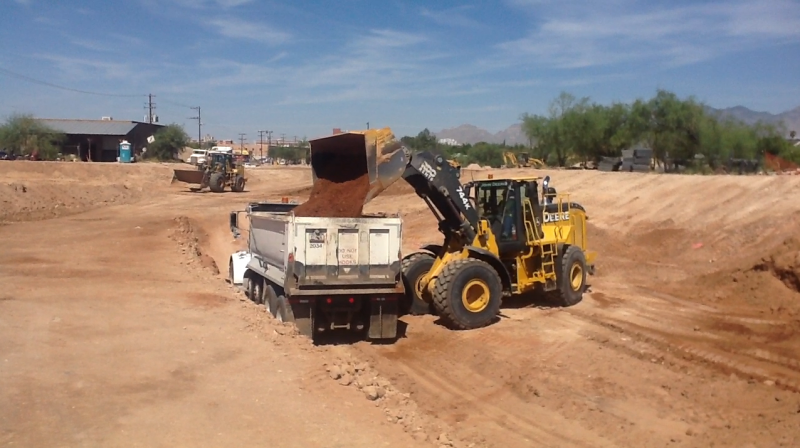 We take the hassle out of transporting asphalt to your job site. Choosing Otto Trucking means access to our large fleet, a supervisor on your job site, skilled dispatchers, our relationships to partner trucking operators, and less complicated paperwork. 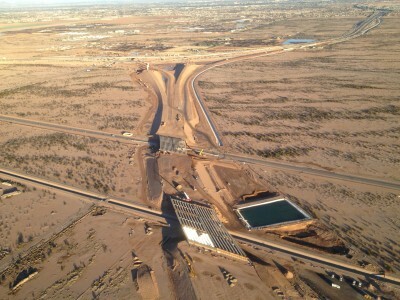 Otto Trucking has been involved in some of the most visible projects around Phoenix including the Deck Park Tunnel and the Diamondbacks Stadium. 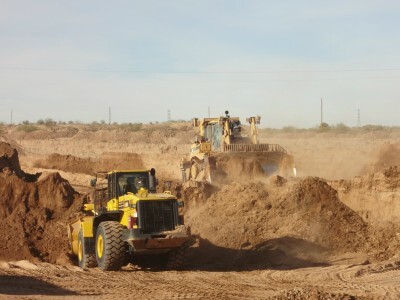 We take pride in our ability to handle projects both large and small, offering our customers the most cost effective excavation and material transportation solution in Phoenix. When a large quantity of material needs to be moved in a hurry, no one can do it faster than Otto Trucking. We have the resources and flexibility to operate demanding job schedules in challenging situations. Tell us what you need and we will work with you to make it happen. 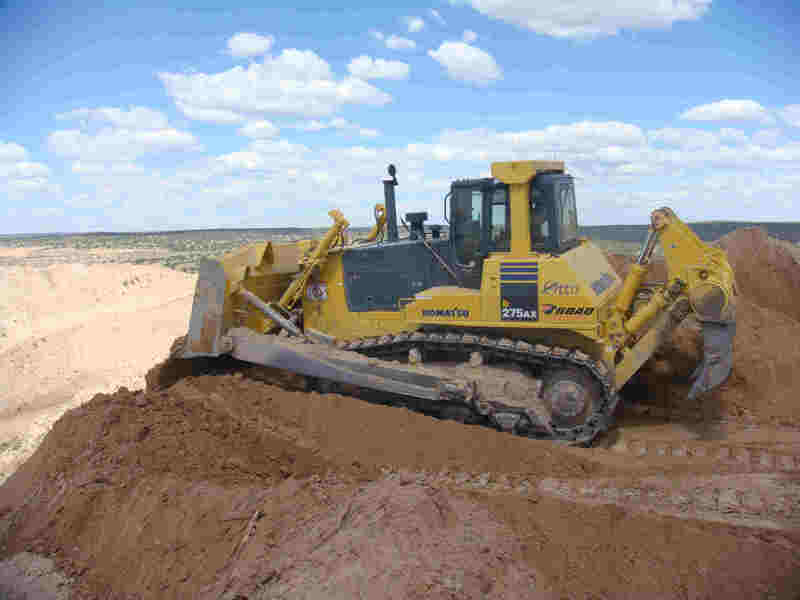 We work with our customers to mitigate dust on job sites through the pre-wet or pre-soak of onsite soils prior to moving or loading dirt. We have water trucks, water sprinklers, and water cannons to handle even the driest of material. 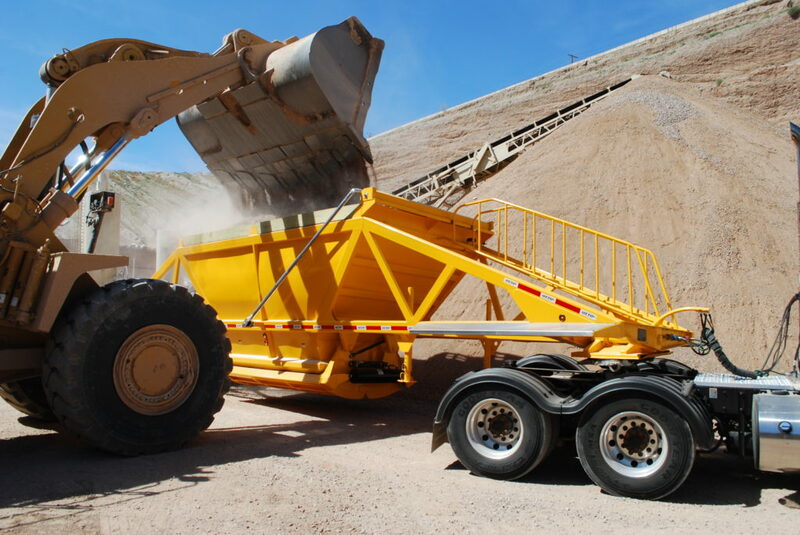 On a project by project basis we may utilize imported asphalt millings or crushed rock at the entrances and exits of job sites to eliminate track out from our equipment. In addition, we can hire street sweeping services and at your request incorporate any of these sediment controls into our job quote or estimate. 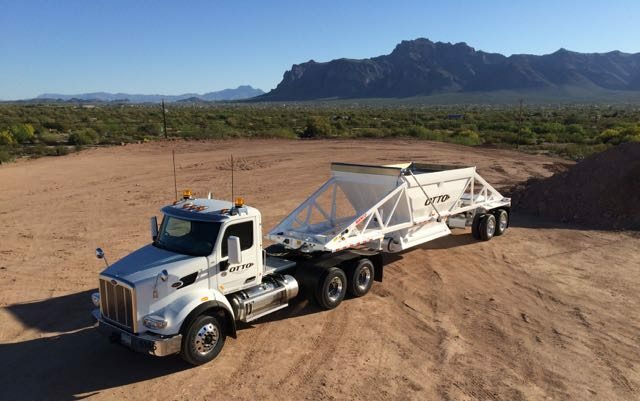 Otto Trucking can facilitate the transport of your heavy machinery using our custom lowboy trailers. 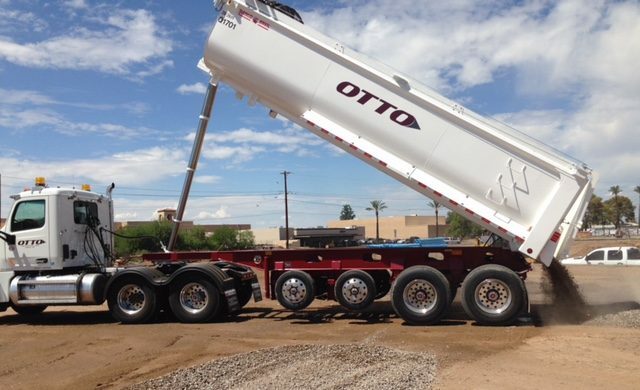 Otto Trucking has moved just about every type of earth moving equipment that exists including Front End Loaders, Bulldozers, Crusher Spreads, Conveyors, Blades, Haul Trucks, Cargo Containers, Asphalt Pavers, and more. Let us know what you need moved. We can also provide quick access to equipment for short term or emergency projects. 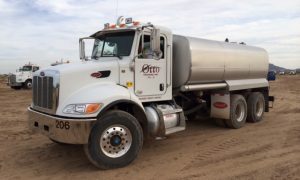 Otto Trucking has been called to assist with fires, floods, and projects that simply need extra equipment to meet deadlines. Our skilled operators and support equipment are available to work 24/7 on weekends and Holidays. 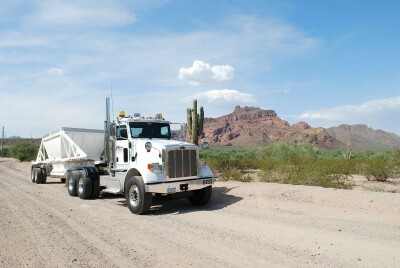 We also haul ‘over the road’ transport loads including general freight throughout the United States. 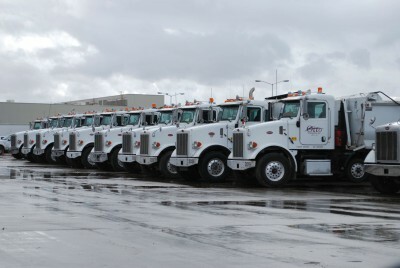 Our day cab trucks are also available to pull loads for companies needing extra trucks during high volume periods.